The fifth gen. stealth fighter officially made its combat debut. Israel bacames the first nation to conduct a strike with F-35. 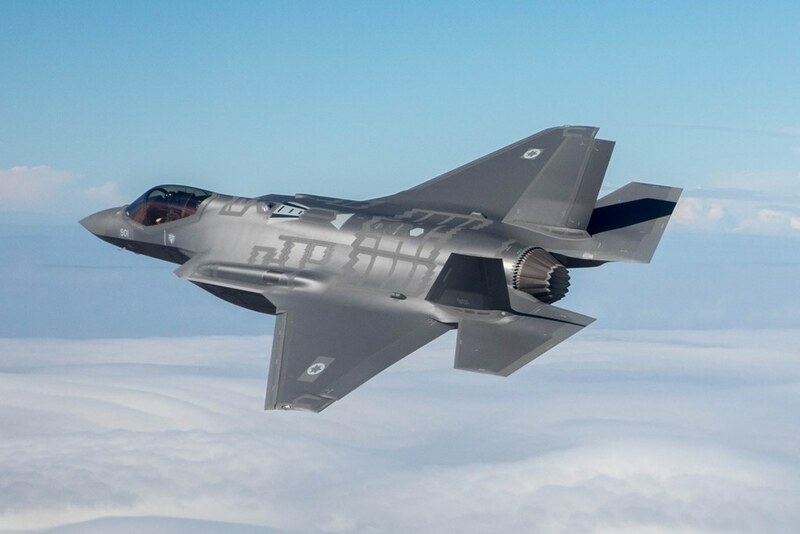 The commander of the Israeli Air Force has recently declared that Israel became the first country in the world to conduct a strike using the F-35 fifth gen. stealth fighter. "The 'Adir' (F-35I) aircraft are already operational and flying combat missions. In fact, we have performed the first operational F-35 strike in the world. We attacked twice in the Middle East using the F-35 – we are the first in the world to do so. The Israeli Air Force is a pioneer and a world leader in operating air power". These are the words of IAF Commander Maj. Gen. Amikam Norkin, spoken on May 22 at the International Air Force Commander Convention's opening at Israel's Air Force Auditorium. The IAF Commander has released more details on the strike during some of the IAF's operational events over the past few weeks. "We checked what the Iranians were doing around us. Quds Force was based in the T-4 airbase, 250 kilometers from Israel. From this base, they attempted to attack us using a UAV (Unmanned Aerial Vehicle) which infiltrated Israel a number of months ago. After this event, we saw that they continued to store munitions in this base, including aerial defense capabilities which we attacked this month". "Over the past weeks, we understood that Iran was transporting long-range missiles and rockets to Syria, among which are 'Uragan' missile launchers which we attacked, just north of Damascus", added Maj. Gen. Norkin. "The Iranians fired 32 rockets towards Israel. We intercepted four of them, while the rest fell outside of Israel's territory. Afterwards, we attacked dozens of Iranian targets in Syria. Sadly, the Syrian aerial defense systems fired over 100 SAM (Surface-to-air missiles) at our aircraft using SA-5, SA-17 and SA-22 missile batteries. In response, we destroyed their SAM batteries. A short time later, we destroyed a 20-meter deep Hamas tunnel".